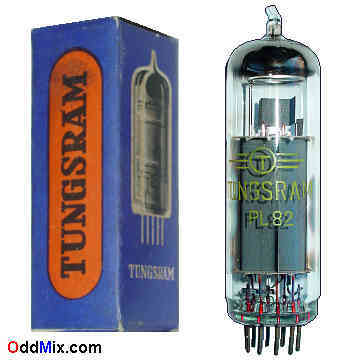 This is an original, Tungsram PL82 Power Pentode electronic tube. Nearest good subtitute is the Brimar 16A5 or a 16L40. This tube is designed for RF [Radio Frequency] and AF [Audio Frequency] amplifier use. Excellent part for replacement, antique radio, instrument or television restoration, circuit research, SW [Short Wave] radio work or experimentation. It is a NOS - New Old Stock tube - without box, excellent condition.